When your new air conditioning system is being installed, there are several important questions you should ask your HVAC technician. Everyone needs to replace or upgrade their air conditioners sooner or later. A/C systems can cost you a lot of money, and that is why you need to find an experienced and resourceful HVAC technician like the team at Richmond’s Air. 1. What is the warranty for this service? It is important to know how long the warranty is on your new AC system installation and what is the fine print. Some warranties will require you to service and maintain the systems regularly in order to stay valid. 2. What type of A/C system do you recommend? Why? You also need to find out which system will suit the size of your house. A single unit air conditioner is enough to cool a small house; however, for larger dwellings, central unit air conditioners will be more efficient and cost effective. They might cost more to install upfront, but operating costs for central unit air conditioners are considerably lower over time. 3. How can I reduce utility bills on my new air conditioning system? Air conditioning systems are expensive to operate and maintain. Your technician can let you know how you can increase the efficiency of your system and enjoy lower utility bills. Fortunately, modern heating and cooling technologies drastically improve the efficiency of air conditioning systems in many ways. You can find out your energy efficient HVAC options from an expert technician. 4. Which is the best air conditioning brand? It depends. There are many manufacturers of air conditioning systems available. Experienced HVAC technicians have installed and used most of the brands on the market and can, as a consequence, give an informed opinion on each of them. It is also their job to understand the pros and cons of each brand. They are in the best position to advise you on which air conditioning system is best for your needs. 5. What is the approximate cost of air conditioning installation? Before making a decision to purchase and install an air conditioning system, you need to know how much it costs. Your technician can do the math and give you an estimation of the total price. If it is beyond your budget, consider finding a cheaper brand or contact another company. 6. Are you licensed to install air conditioning systems? In some places, technicians are not required to hold state-issued licenses. Still, it would be prudent to go for a licensed technician since anything could go wrong with the installation. 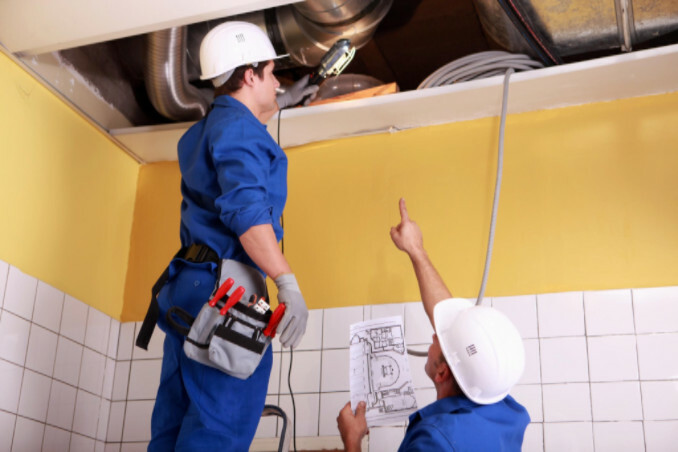 If the technician is licensed, you will be able to claim compensation for any faulty work. With unlicensed technicians, you may have to foot the bill yourself if things go wrong. Professionals who operate without licenses might be cheaper to hire, but some considerable risk is taken when using their services. Beyond licenses, you should find out if the AC installation company is insured. With an insured company, you have security against liability. The insurance will cover any damage done to your house during the setting up of the systems. 8. Will you send someone to check the installed system? Usually, air conditioning installers come around to check whether the system is functioning correctly after the initial installation. This is usually done in 30 days or less. Find out from the technician if such a practice exists with their company. 9. How can I maintain the air conditioning system? Air conditioning systems must be maintained regularly for them to perform at their peak. Different systems have different recommendations when it comes to maintenance. Your technician should let you know the maintenance procedures and routines that are recommended for the system you install. How often should the system be checked? How often should service be done? When should you clean or replace the filters? These are some great questions to start with. The bottom line is that buying and installing an air conditioning system is not as easy as many people think. It is important that the installation is done by professional HVAC technicians. As long as your technician is experienced in the field, they should not have trouble answering any of the questions listed above. At Richmond’s Air, all of our technicians have a minimum of 5 years experience in the air conditioning industry, and we guarantee our installation services will be done with top-notch precision. Contact us today to schedule an appointment.